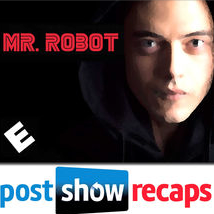 Amazon has locked up exclusive subscription VOD rights to cyber-drama “Mr. Robot,” a summer hit for USA Network with critics and audiences. Under the multiregion licensing deal with NBCUniversal, the first season of the hacker thriller will be available to Prime members in the U.S., the U.K., Germany, Austria and Japan. “Mr. Robot” hits the U.K. on Oct. 16, followed by Germany and Austria on Nov. 20, while American users will have to wait until the spring of 2016. Amazon will let Prime members stream and download all 10 episodes of “Mr. Robot” season 1 for no additional charge. For Amazon, the pact — likely one of its priciest acquisitions for a single series — is a coup in its fight with rivals Netflix and Hulu to secure exclusive programming. Amazon also has won exclusive SVOD rights to shows including all seasons of “Downton Abbey,” “Orphan Black” and “24,” and offers HBO original series that are at least three years off-air. New York-set “Mr. Robot” stars Rami Malek (“The Pacific”) as the paranoid and asocial Elliot, an info-security engineer by day and vigilante hacker by night. He’s recruited by an underground hacker (Christian Slater) to take down the mega-conglomerate he is paid to protect. Sam Esmail (“Comet”) is creator, writer and executive producer of “Mr. Robot.” Anonymous Content’s Steve Golin (“True Detective”) and Chad Hamilton (“Breakup at a Wedding”) also serve as exec producers. The show also stars Portia Doubleday (“Her”), Carly Chaikin (“Suburgatory”), Michel Gill (“House of Cards”) and Martin Wallström (“Simple Simon”).